The Christie's Important Watches including Property from an Important European Collection sale recently held on 12 May 2014 achieved a total result of Swiss Francs 23,823,225 / US$ 26,508,102 / €19,270,606, selling 91% by lot and 95% by value. Throughout the 8 hours sale, record prices were established for multiple references and models across different categories. 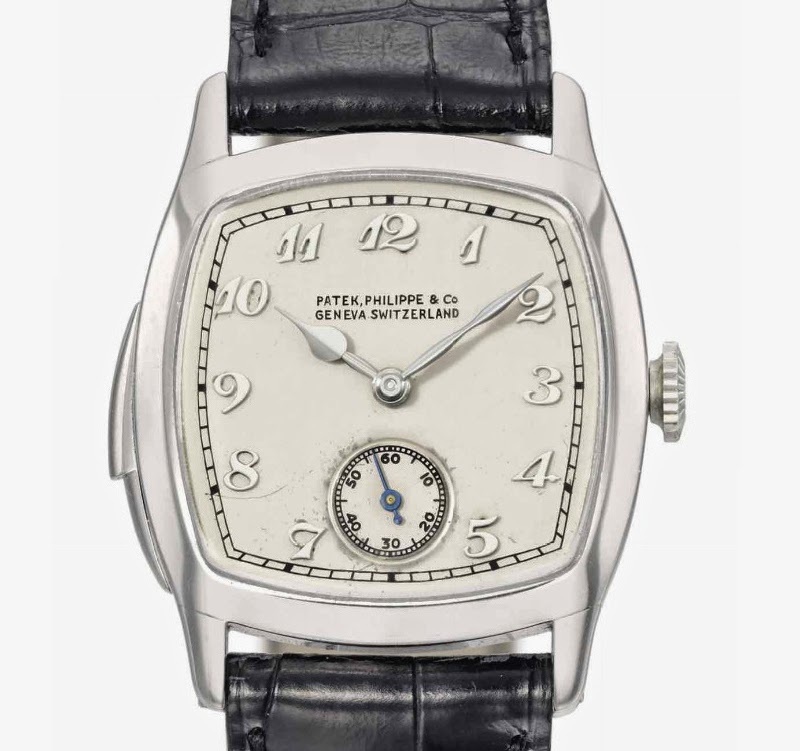 The top lot of the sale was a Patek Philippe platinum cushion-shaped minute repeating wristwatch with Breguet numerals made for Henry Graves Jr. and manufactured by Patek Philippe in 1927, which sold for a new world auction record for this unique Patek Philippe wristwatch at Swiss Francs 1,205,000 / US$ 1,340,804 / € 974,725. Another hot piece was the Patek Philippe Sky Moon Tourbillon, ref. 5002, with twelve complications including minute repeating, tourbillon, perpetual calendar, retrograde date, moon age, sidereal time, sky chart and moon orbit display. Manufactured in 2001, it sold for Swiss Francs 917,000 / US$ 1,038,241 / € 754,770. 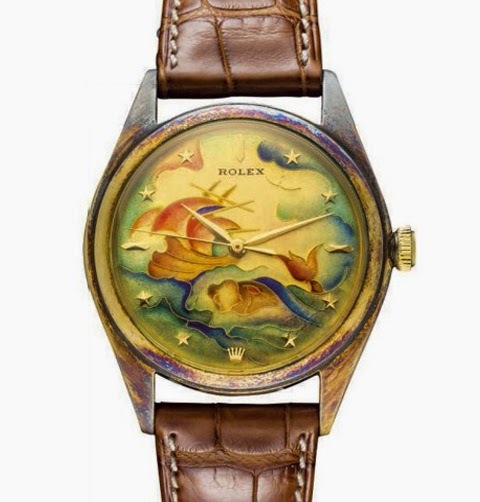 A gold Rolex manufactured in 1949, with a decorative cloisonné enamel dial depicting a whale an a frigate in full sail cruising, sold for Swiss Francs 1,097,000 / US$ 1,220,632 / € 887,363 so reaching a new world auction record for any Rolex sold at auction. A. Lange & Sohne timepieces also achieved great results confirming the growing interests among worldwide collectors for the exclusive German brand. The Tourbillon “Pour le Mérite”, a limited edition piece (101/150) manufactured in 1998 with white gold case and a special black dial, was auctioned at a record of Swiss Francs 437,000 / US$ 493,625 / € 359,000 Euro and is now counted among the most successful modern Lange pieces at auction. 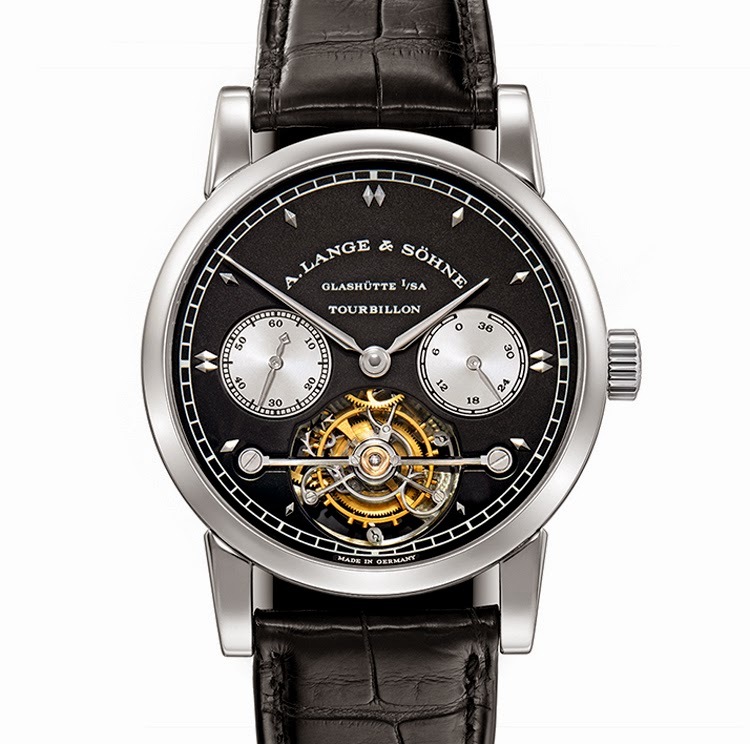 A rare Lange 1 with a stainless steel case dating back to 1998 was sold for Swiss Francs 100,000 / US$ 113,221 / € 82,150. At the Christie's Important Watches sale recently held on 12 May 2014 record prices were established for multiple references and models. 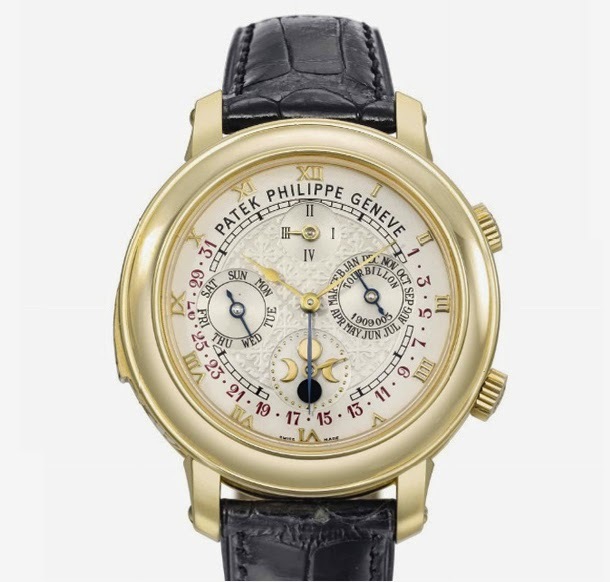 The top lot of the sale was a Patek Philippe platinum cushion-shaped minute repeating wristwatch made for Henry Graves Jr. and manufactured by Patek Philippe in 1927, which sold for a new world auction record at US$ 1,340,804. 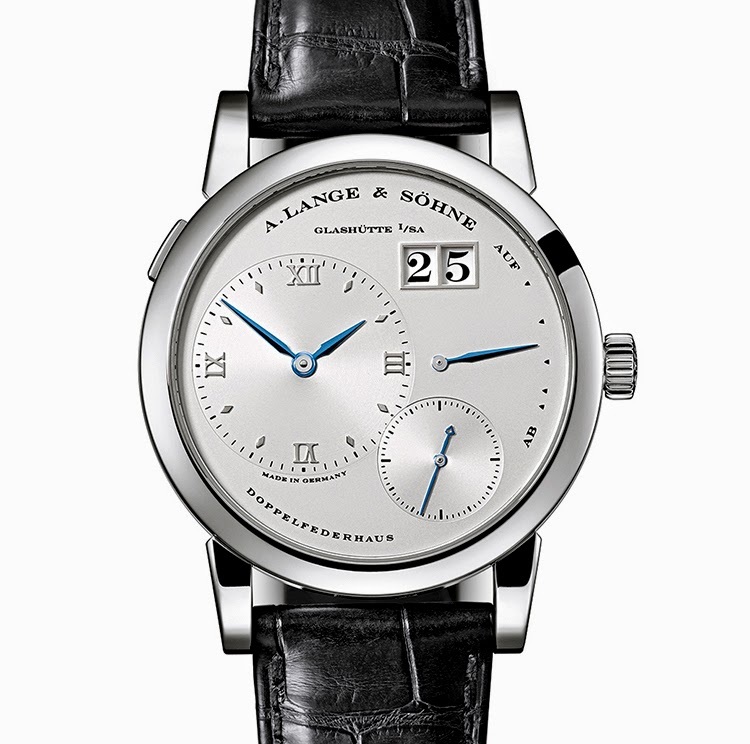 A. Lange & Sohne timepieces also achieved great results. The Tourbillon “Pour le Mérite”, a limited edition piece manufactured in 1998 with a special black dial, was auctioned at a record of US$ 493,625 and is now counted among the most successful modern Lange pieces at auction.